North America Forum»Forum ›Knights Fable ›Bugs › Samele Bugged? Samele clearly bugged, see the SS below. 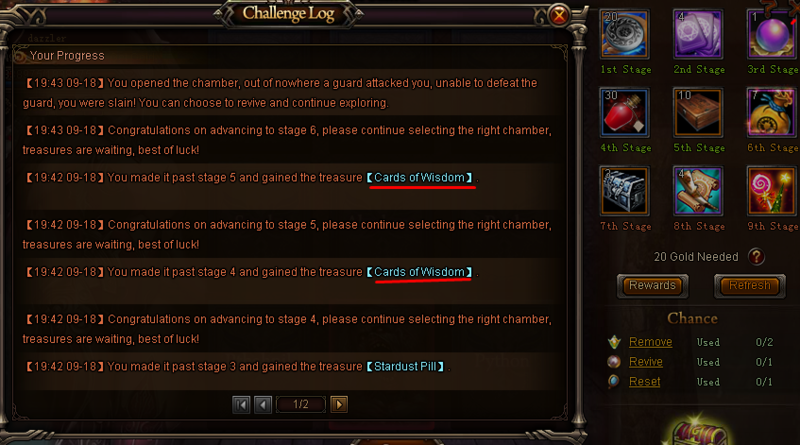 The rewards should be Greater exp pot and Diamond fragment box and NOT Cards of wisdom. ;Hope, I get compensated for this. Hi player.. was the card you drew from the legend of samele was the ;treasure chest or the bag? 2019-4-21 16:49 GMT+8 , Processed in 0.052460 second(s), 40 queries .